David Clemens unties Bunker 1 00 Agent 1:01! 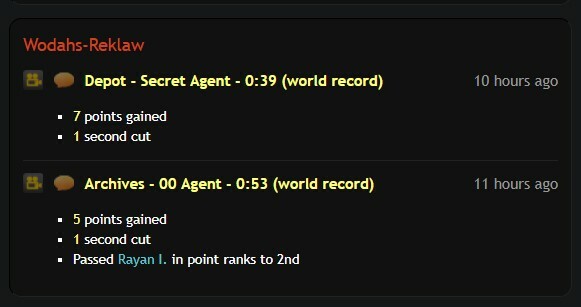 Rayan I. achieves 3 GoldenEye LTK untieds in the span of a week. Watch the Century Club unhoard film with chat! Flickerform unties Crash Site Perfect Agent 1:40! MW unties Defection Special Agent 0:17! TimeSplitters Elite is back with a new site, check it out here!